Riverwest boasts a talented, caring, imaginative, motivated and downright interesting population, which makes for a seemingly unlimited font of inspiration to draw from for each month’s Neighbor Spotlight. This month’s subject, Bruce Wiggins, is another such Riverwester who we’re proud to feature in this space. He is a well-traveled Milwaukeean-by-birth who was drawn to settle in Riverwest after spending many years doing city planning and community development work in cities across the country. After four years of service at Milwaukee Urban Gardens (MUG, a program of Groundwork Milwaukee), Bruce Wiggins is retiring. We figure it’s as good a time as any, then, to present a bit of a biography of our fellow Riverwest denizen. In 1968, Wiggins entered the Peace Corps and went to Honduras to serve through that organization. “I learned a lot more during that time, but that’s another story,” Wiggins says. Then in 1969 he was drafted. Instead of going to Vietnam, he filed conscientious objector papers. “It was a very tumultuous time in my life and in US history,” he adds. He ended up living for a while at Casa Maria (now a Catholic Worker House) here in Milwaukee. Eventually, he ended up back in Chicago, where he earned his Masters of Divinity Degree from Chicago Theological Seminary. During all of this, Wiggins developed an interest in and started to become involved with community development and related issues. During his 19 years in Philadelphia, Wiggins also served as Executive Director of Philadelphia Neighborhood Housing Services and the Neighborhood Gardens Association (NGA). “NGA was like MUG – an urban land trust focusing on community gardens – and the first urban open space land trust,” Wiggins explains. With the founding of the Environmental Protection Agency in 1970 and the passage of the federal Clean Water Act in 1972, the sustainability movement was finally getting a tentative foothold in the modern middle-class American’s psyche. Wiggins was working at the forefront of this fresh awakening, bringing together environmentalism, urban reform and community development issues to serve society in an immediate and effective way. After the stint in Philadelphia, Bruce followed Terry to Pocatello, Idaho for her job, and the family lived there for six years. “Culture shock!” is how he succinctly describes that move. Ever the learner, Bruce earned a Masters in Public Administration degree during that time in Idaho. Then it was off to Kansas City, where they lived for 11 years. There, Wiggins helped write the city’s first Climate Protection (Sustainability) plan. 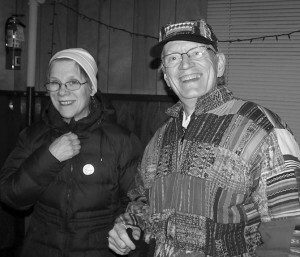 Bruce and Terry moved to Milwaukee in 2009 to take their “first retirement” closer to family – his sister lives in Madison, and their daughter and her family live in Milwaukee. Of course, instead of retiring “for real,” Bruce got involved with MUG, which became a vehicle to promote sustainability along with community development. 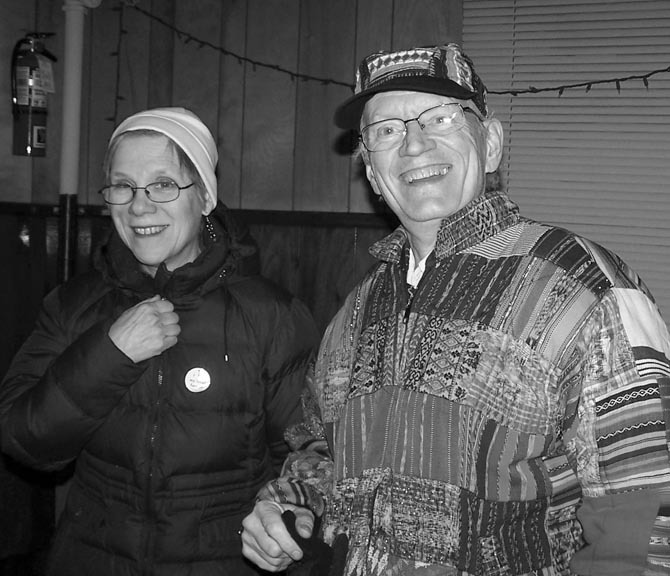 He helped make the merger of MUG and Groundwork Milwaukee a success, and, with many other local residents, enjoyed the work of building dozens of community gardens in the area. Bruce thinks it’s strange to be in Milwaukee and seeing things with new eyes. He gives the example of driving around and seeing familiar but long-forgotten streets, and remembering in a flash things like, “This is where I used to go to the YMCA – which is now condos.” He helped plan the Whitefish Bay HS Class of 1962’s fiftieth reunion, which was held at the new Harley Davidson Museum, and got a tour of his now expanded high school so many years after he attended there. Now it’s time for Wiggins’ “second retirement.” Gardening has become a passion as well as a hobby, and Wiggin’s especially loves raspberries, strawberries, carrots, beets, corn, tomatoes, beans and cucumbers. He was able to cross an item off his bucket list last year by visiting Machu Picchu in Peru, and he and Terry will probably now be able to pursue their interest in visiting our beautiful national parks. And of course, the couple is happy to have the chance to pay attention to important personal matters, like their two granddaughters! “Thanks, Bruce, for all your hard work on behalf of Milwaukee and our nonprofit agency,” say the folks at MUG. And let’s include a hearty thank-you from Riverwest in general. Enjoy your retirement!